Length: Above Knee/Short. 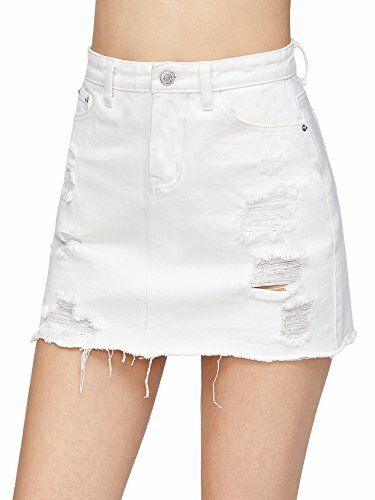 Denim Skirt Distressed Mini Jeans Skirt. Fabric has no stretch. Model Measurement: Height: 176cm/5'9", Bust: 86cm/34", Waist: 63cm/25", Hip: 90cm/35", Wear: S.
Attention: the unit measurement of clothing is inch, please refer to the Last Picture of the size guide carefully before purchasing.